It is the unification of Human Consciousness and Divine consciousness; matter and spirit; Earth and Heaven. Love is the key for this unification to be manifested. It may also assist to accelerate your awakening and healing in your heart.In this state of connectedness in the heart center, you may receive clarity to what you are wanting to find out about your life purpose and destiny as an aspect of Christ being that you are. 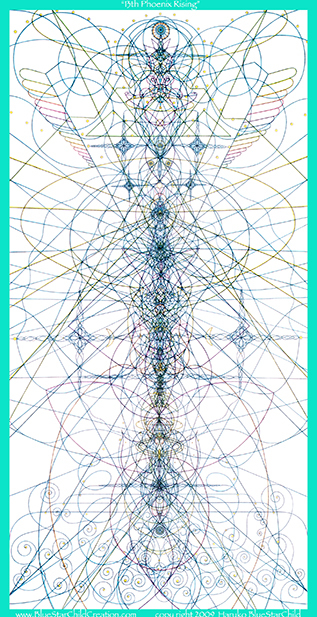 This design assists us to align with the Universal Crystaline Energy and raise our energetic frequency and bring clarity within. This clarity will assist to connect easily with your Higher self and your true essence. It reminds us that each of us is a unique and beautiful crystal being, and so the design encourages us to recognize your beauty and purity. It also reminds us that Crystal energy exists in such an expansive way throughout many Universes, and we are part of the whole as a Crystalline forms, always connected and always one with it. 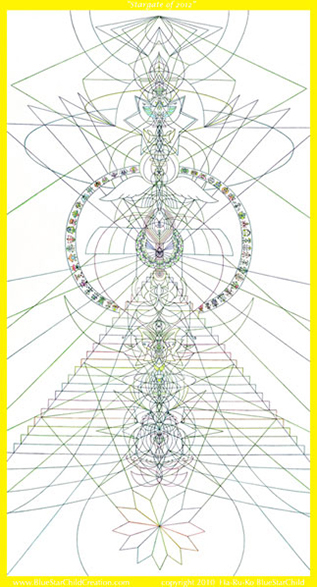 It also clears the chakras, auric field, mental emotional and physical body from other influences by calling upon this design in your etheric field. In this clearing process, you may call angelic assistance such as Archangel Michael. She mirrors to us that we are the light which can shine eternally even in the darkest place where we feel it is impossible to shine the light. She also shows us that we have a limitless life force just like the Sun. Amaterasu is a representative of the Sun Being from the Central Sun and she is the Supreme Goddess in Japan. Also she represents compassion shining everywhere and on every being on the Earth. 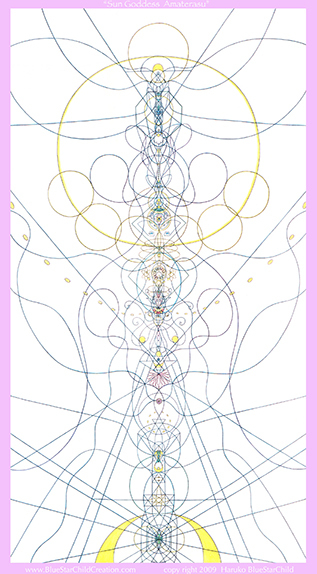 Feel her warmth in your heart as you meditate with this design. 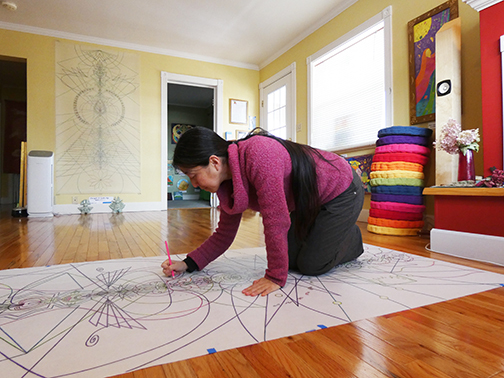 This design represents the Universal Mother, who embraces all the living things and all there is in the whole Universe beyond time and space. She mirrors to us that we also have this essence and power of love within each one of us. By embracing every aspects of life, everyone in our lives, and every part of ourselves, we will be able to live as Universal Mother on the Earth. into the future to manifest what we want. After Atlantis and Lemurian civilization, this is the 13th Civilization on the Earth, and we will succeed in bringing love, light, peace and harmony on the Earth in new way. With the intention of all inclusiveness, we will rise from ashes like the Phoenix by learning, embracing, forgiving and loving all of our past with Divine understanding. This design may also assist to spark your Divine Fire and strength of your love in your heart, and remind us of the spirit to NEVER GIVE UP. It shows that we have a power and ability to rise from any situation with our faith and believing in ourselves. It assists you to remember your strength and trust in any experience in any given moment. It may also assist you to remember that there are no obstacles in front of us in the pursuit of manifesting our deep heart desire. This design represents the Gateway of 2012 into the New Golden Age. 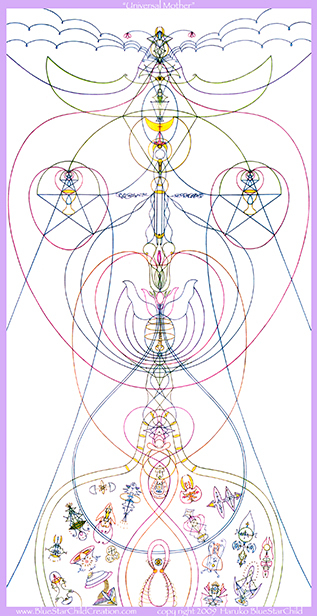 From this point and on, every ancient wisdom will be allowed to be activated and anchored on the Earth and within us. It is the end of our seperation and it is a point of true freedom for the humanity. It is the time of our divine realization and ressurection beyond our imaginings. It is the ultimate new beginning of the New Earth and beyond. creating and living in the New Golden Age which has been all of our unified deep heart longing and desire for eons of time. Feel this gateway as part of you, as you breathe in the energy of this design into your heart. 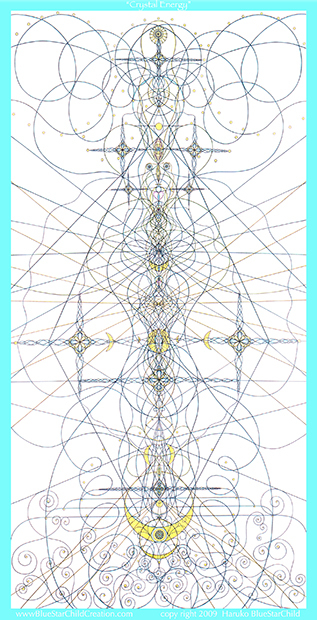 This design represents the new angelic code and sacred feminine design for the New Earth. 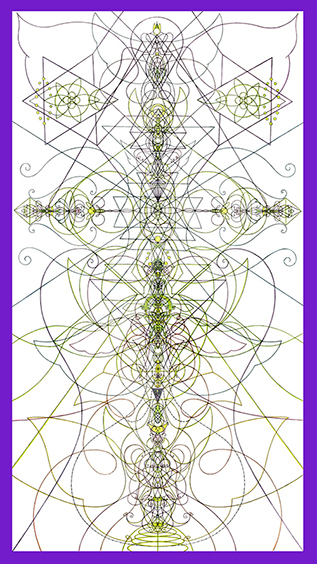 There is significant presence of ArchAngel Melchizedec and Mary Magdalene in this art. It is a renewed and upgraded code since time of Christ in Egypt, and now it is re-anchoring on this planet in a new design at this time. It is now available to all of the people on the Earth who are open to receiving this design in the heart. Divine feminine power which had been denied for many years on the Earth is now going to bloom. 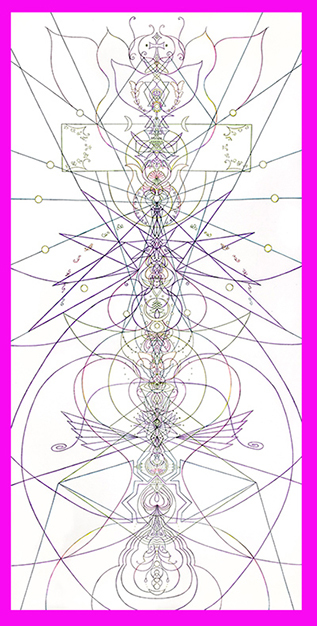 This design may assist you to awaken your angelic aspect within you and also assist to anchor in your heart the new understanding of Divine feminine as well as Divine masculine within you. 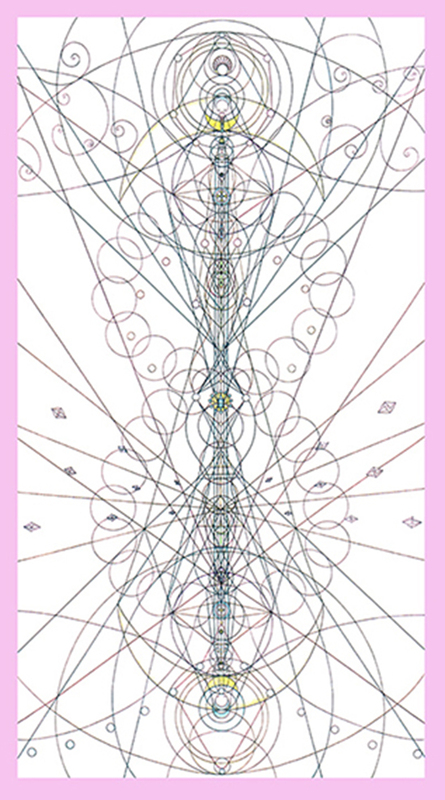 This design was shared by Pleadian beings. They are always watching us and sending us beneficial new energy of understanding into our consciousness to assist our ascension process on the Earth. They are like loving Mother presence for us people on the Earth.